Founded by an experienced physical therapist, TheraOffice helps physical therapists streamline tasks like documentation and billing, and offers powerful reporting capabilities to help them optimize their practice. Founded by an experienced physical therapist, TheraOffice's leadership team understands the nuances of generating accurate, detailed rehabilitation documentation. The software is designed to help physical therapists save time, optimize their workflow, and spend more time on what really matters: delivering quality care to their patients. The software includes many helpful features like task management, alerts, and documentation templates, but all of these features are fully customizable, meaning that they can be modified to suit your practice's specific needs. The software also includes more than 175 built-in reports to help you analyze your business's performance, but you can also work with the TheraOffice team in order to create additional custom reports as needed. More than 175 reports in 17 categories to help you optimize and improve your practice's workflow and finances; users can also work with TheraOffice's support staff to generate custom reports. Customizable templates help users write more accurate, efficient documentation. HL7 compliant, so is capable of integrating with many other EMR and practice management systems. TheraOffice releases regular updates (several times a year) to stay up to date with the latest industry coding and regulatory changes. Includes more than 50 default (but customizable/editable) alerts to remind you about important tasks. Patients cannot currently fill out their information electronically or enter their subjective findings upon checking in, but the company has stated that it is working on adding this functionality to a future update. Users have requested an integration with exercise image applications, such as VHI, but it has not been implemented yet. Is TheraOffice the right software for you? TheraOffice by Hands on Technology was created by a practicing physical therapist who wanted to help others in the rehab industry spend more time interacting with patients, and less time on repetitive tasks like data entry. The software can be installed locally, or on Hands on Technology's servers. TheraOffice is designed with many of the same features that other similar products offer, including scheduling, template-based documentation, and automatic claims scrubbing. However, it also includes a few bonus features that distinguish it as a top choice to consider. One of its biggest differentiators is its devotion to providing more than 175 reports right out of the box, which offer physical therapists useful insights about how to best optimize their productivity and accounting. TheraOffice also excels at providing users with various ways to customize the software to suit their needs. For example, users can adjust documentation templates and modify alerts and tasks to address their specific workflow and priorities. 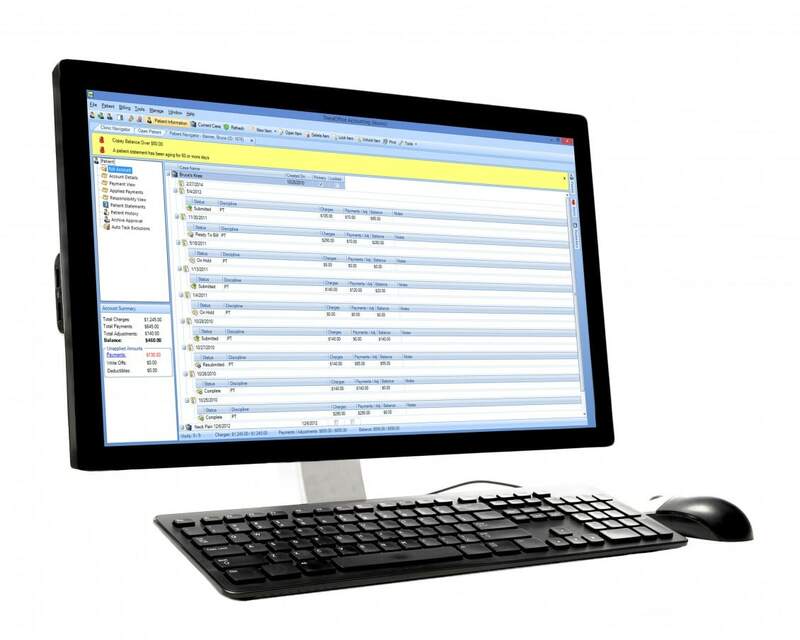 The software also enables users to create custom reports to query data however they want. One more way to customize the software is by integrating with other EMR, billing, or marketing tools you may be using, which is easy to do since TheraOffice's messages are compliant with HL7 standards. This is especially relevant for hospitals or large, multidiscplinary practices that may be using multiple software systems across their various departments. Below, we discuss the key features of TheraOffice, and how they can benefit your practice. 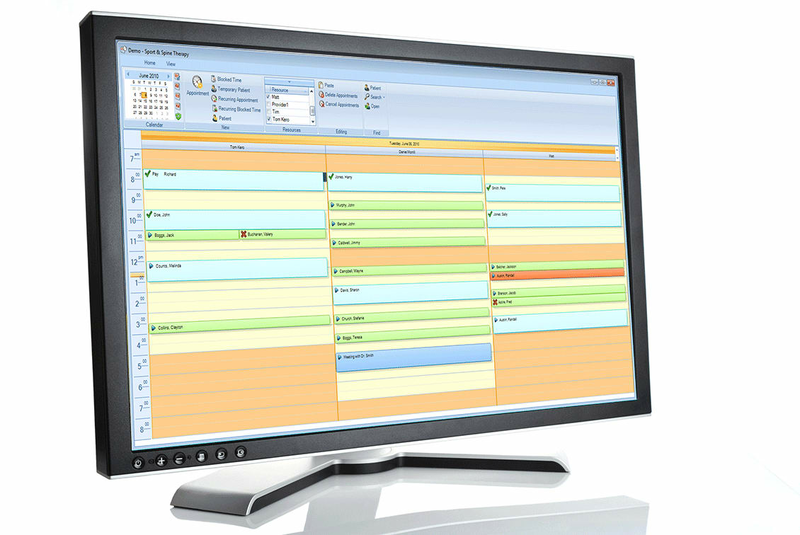 The TheraOffice Scheduler is colorful and user-friendly, with drag and drop functionality that's intuitive and efficient. The front desk staff can use the Scheduler to learn key information about patients as they check them in, such as whether or not they need to collect a copay or coinsurance fee. You can also set up reminders to make sure that patients show up for their appointments. The scheduling system collects information about patients' care plans and appointments, and can alert you if any particular patient is falling behind on the prescribed number of appointments. The software includes more than 50 alerts and tasks that are fully modifiable to fit your needs. These alerts can be useful in helping staff remember details that are important, but difficult to keep track of manually. For example, you can set up an alert to remind your staff about a patient with unusual circumstances that require special attention; you can either set it up to notify you whenever the patient checks in, or schedule it as a reminder to follow up with the patient after a specific period of time. TheraOffice's leadership team is knowledgeable about the industry's changing needs and requirements, which comes in handy particularly when it comes to addressing the nuances and challenges of generating accurate, compliant documentation. The company makes sure to release new versions of its software in order to stay up to date with changes in the industry that would affect documentation, such as code updates. This helps ensure that your documentation is compliant, defensible, and up to date with industry requirements. TheraOffice's documentation module is designed to be convenient, but also completely customizable. This means that therapists can tailor templates to their needs in order to decrease manual entry time, without sacrificing accuracy. Another nice feature is that Theraoffice supports dictation, which enables therapists to dictate their notes, and have them be recorded. This enables therapists to spend less time on documentation, and spend more time with patients. 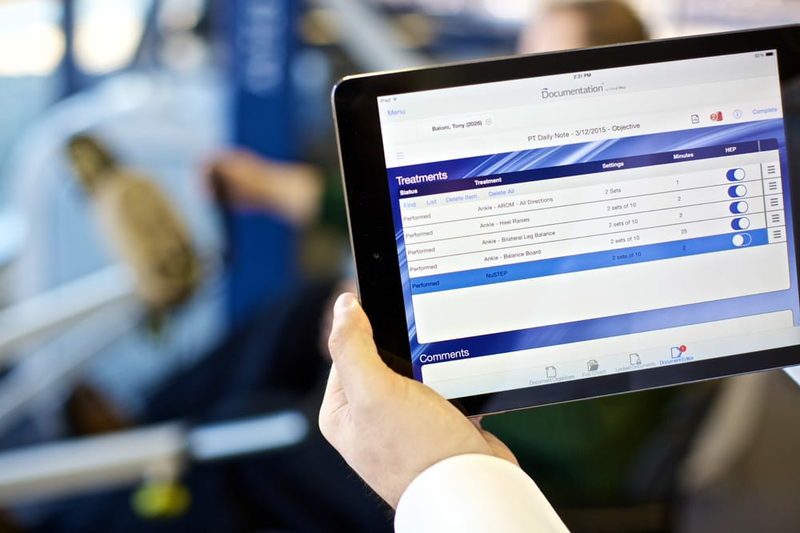 The iPad documentation app is particularly user friendly and useful for peak office hours, because it enables therapists to create multiple tabs in order to juggle more than one patient at the same time. This is convenient for busy offices, since you no longer have to close out of one patient's note just to be able to get started on another patient, in the event that you get pulled into another urgent appointment. The billing module is designed to help your staff automate the most frequently repeated tasks, without sacrificing accuracy. TheraOffice takes information from its documentation module, and creates a claim based on those notes, which removes the need for cumbersome and error-prone double data entry. The software then checks each claim for potential errors or inconsistencies, and makes sure that they have all of the necessary information before you send them out. If any errors are detected, the software will help you make the necessary corrections, which increases your chances of getting paid. Once claims are sent out, you can sort all claims by the age of the claim, and easily identify those that have been rejected, or require follow-up. Built-in billing tools help calculate copays and coinsurance, so you'll know how much to bill to the patient. The software uses this information to help you generate a clear statement that is easy for your patients to read and understand. Just about every software provider offers a set of built-in reports to help you access your data in an intelligible way. However, TheraOffice is particularly adept at making this data accessible to its users -- it offers more than 175 standard reports across 17 categories, right out of the box. 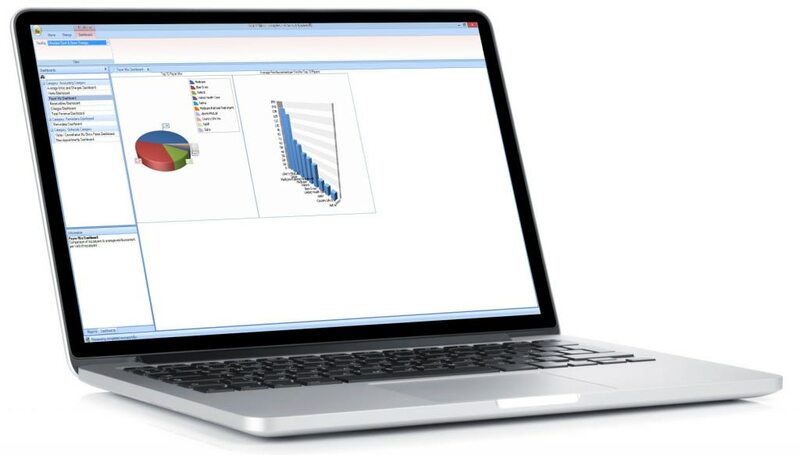 The interface is designed to make it as easy as possible for users to query and refine data by simply entering criteria and filtering by category. TheraOffice's extensive reporting capabilities can help you optimize your practice's workflow and financial performance. The reports can quickly help you identify which users are falling behind on their appointments, and help you gain a better understanding of billing efficiency in order to reduce A/R days. If you realize that you need access to a report that doesn't exist, you can work with TheraOffice team to have them build it for you. TheraOffice is a comprehensive solution that helps physical therapists automate common tasks like documentation, scheduling, and billing. We like how much flexibility the system provides; users can customize many of the built-in features to best suit their specific needs, and integrate the software with other HL7 compliant medical systems. If you're looking for a comprehensive yet customizable solution designed specifically for physical therapists, then TheraOffice is a top choice to consider.